While the Chevy Malibu has always been heralded for its comfortable cabin and smooth performance, the new Chevy Malibu safety features take this popular sedan to the next level. Not only is the Malibu packed with family-friendly features for children, teens, and adults alike, but the latest safety technology can help prevent accidents from ever occurring in the first place! Take a look at the Chevy Malibu specs, and then head to to Sullivan-Parkhill for your test drive. The Chevy Malibu is a versatile sedan for any driver, but it’s exceptionally well-suited as a family vehicle. Of course, you’ll find all the standard features that you’d expect: antilock braking system, electronic stability control, advanced 360-degree airbags, and more. But the Chevy Malibu specs go a step further with the innovative family-friendly features onboard. The LATCH system attaches child seats firmly in place, so your little ones feel safe and secure on every journey through Bloomington and Danville. Child safety locks are also standard to prevent any tampering from curious passengers. But the Teen Drivertechnology might be the most impressive new innovation. Parents can use this available feature to set speed limits and audio volume limits on new drivers, and they can even auto-generate a driving report card to review. Now that you know more about the Chevy Malibu safety, it’s time to pick your next car! 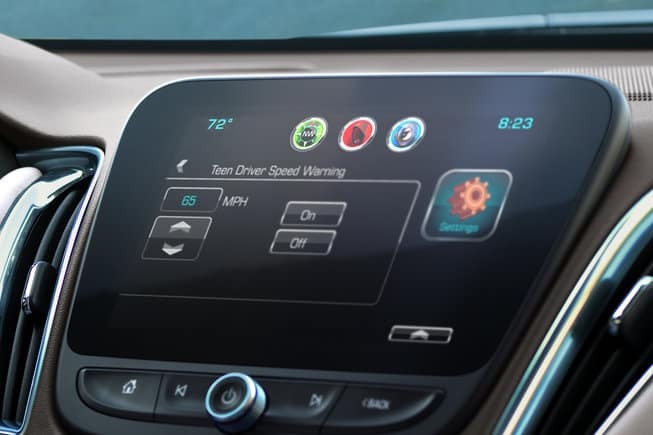 Learn more about the Chevy Malibu trim levels with Sullivan-Parkhill, serving the greater Decatur area, and see what catches your eye! If you’re ready to get behind the wheel, our experts would be happy to take you on a test drive. Stop by today!